Flesh flies are similar in appearance to the house fly, but are characterized by black-ish stripes on the gray region behind the head, and a checkered pattern of light and dark gray; on the abdomen. Although most flesh flies enjoy tropical regions, the species is generally widespread. Many members are scavengers and breed in carrion, dung, or decaying material, but a few species lay their eggs in the open wounds of mammals; hence their popular name. Some flesh fly larvae are internal parasites of other insects and common pests. These larvae, often called maggots, live for about 5 to 10 days, before descending into the soil; and maturing into adulthood. It has been discovered, that different members of this species, prefer bodies in different states of decomposition. Thus, the specific preferences and predictable life cycle timings, allows forensic entomologists to understand the progress of decomposition, and enables the calculation of the time of death; by back extrapolation. In fact, such valuable evidence has been used, to help identify murderers and victims. 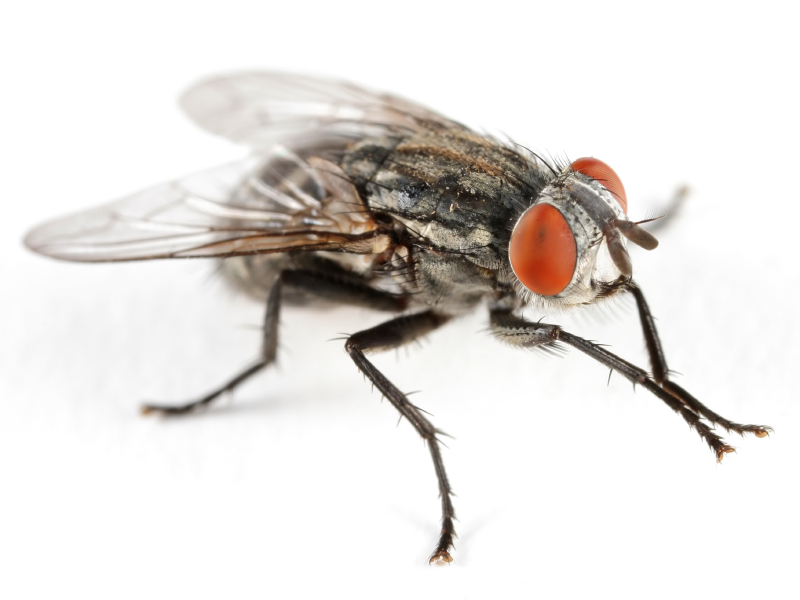 Flesh flies are often consider a pest control problem, because they can carry leprosy bacilli and transmit intestinal pseudomyiasis, to people who happen to consume; the flesh fly’s larvae. As well, Flesh flies, have been known to cause myiasis in animals (predominately sheep), causing blood poisoning, or asymptomatic leprosy infections.